Nicole Cennamo, the Student Association’s vice president for academic affairs, worked with other SA leaders to release a document that maps out expectations for academic advising relationships. Student Association leaders are trying to set a standard for student-adviser relationships. In a document published Wednesday, SA leaders mapped out a list of more than 20 individual responsibilities for students and advisers. SA leaders said the compact is a first step to clarify a misunderstood and often underutilized relationship between students and advisers. Deputy Provost Teresa Murphy approved the compact last month, which includes expectations like “takes initiative to drive their advising experience forward” for students, and “develops and builds personalized relationships with their students” for advisers. The compact stems from a report released in April summarizing major findings from an academic advising survey the SA emailed to students in February. The report said students and advisers often lack personal relationships – adding a strain on a resource meant to help students complete four-year graduation plans or seek advice about majors or minors. SA leaders presented their findings to all advisers across schools during a meeting in April following the report’s release, Cennamo said. In the initial report, Cennamo said she and other SA leaders found that students often enter advising meetings without a clear purpose, expecting that “advisers would magically solve all of their problems.” She said the compact will clarify similar misperceptions about advisers’ jobs, like a perceived ability to comment on students’ course selections, Cennamo said. The compact mirrors documents at peer institutions like the University of Miami, which Cennamo said the SA used as models when crafting the document. The advising compact will put the University “on the same page” as its peer schools, she said. At least four of the University’s 12 peer schools, including Boston University and the University of Pittsburgh, have some iteration of an academic advising compact that lists different responsibilities for students and advisers. SA President Ashley Le said the compact will be advertised through SA email blasts, the SA’s social media handles and on the Academic Commons website. Advisers in the Columbian College of Arts and Sciences – the University’s largest school – will also host a dessert party next to Phillips and Rome halls Tuesday from 1 to 3 p.m. to officially debut the compact, Le said. The SA also teamed up with resident advisers to pass around hard copies of the information, especially for first-year students who are required to meet personally with their RA. Former SA President Peak Sen Chua, who helped to compile the compact before his tenure ended in May, said the compact will be a more “conducive” setup for long-term conversations with officials about academic advising. “Instead of adopting the old approach of demanding the University to adopt a one-size-fits-all model for advising, we decided to bridge a long-standing divide and build consensus,” Chua said. 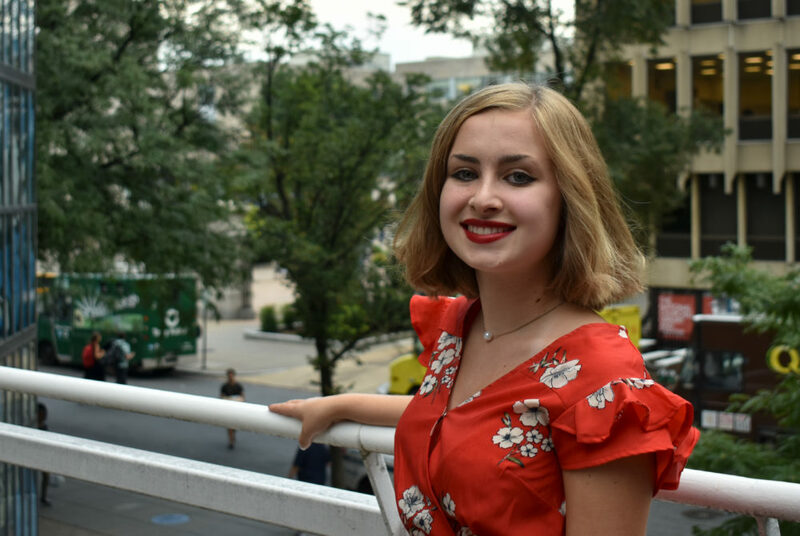 Sydney Nelson, the SA’s former executive vice president, said the compact “standardizes expectations across schools and advising systems,” enabling the SA and other students to start baseline discussions about academic advising. “In order for the advising system to be successful, we needed to make sure that everyone was on the same page and upheld their responsibilities in the process,” Nelson said in an email.